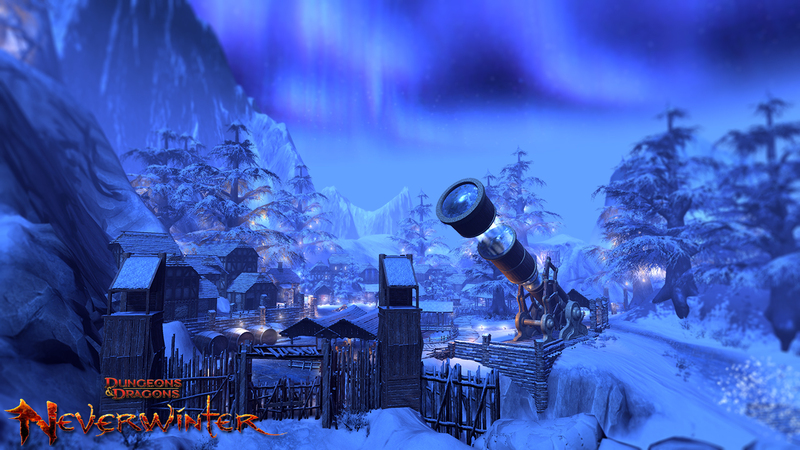 Winter Festival is the latest event of Neverwinter. During the festival, you are able to get the best gear. And also, the Winter Festival features various contests and activities, and the Simril Lightcrafting limited-time profession. This year, Winter Festival is coming. Before we get the winter festival promotions, here are things we should know. These things may help you earn the custom magic items and gear that is offered only during this event. There are a few new companions and mounts with the Winter Festival. With the Light of Shimril, you can purchase a green Dappled Riding Horse or Fawn of Shiallia. In addtion, this event features a custom cosmetic weapon look for each of the main weapon types with an ice and snowflake theme. You may or may not like them but it is nice to see so many choices. You can buy scarves, fireworks, or paper lanterns that float off into the sky when they are released. For fishing you can buy just a cheap fishing pole for 5 copper and click away. Upgrade to a better fishing rod and get some good fishing bait. In order to get a better fishing pole, you will need to level up the Winter Festival crafting, which are untradeable. If you plan to fish during the contests make sure to upgrade your fishing pole. Different fishing poles bring you different effects. Remember that fish into barrels on the docks for Light of Simril. Before you turn them in, ensure that you have enough of the needed ingredients to do any crafting that you may need. Your main crafting is to fishing. You can also make some of the fireworks and some of the crafting components that may be needed for the other advanced items. There is also one potion that you can craft as well, Lightwine. Lightwine increases Movement by 450 and Regeneration by 250 for 1800 seconds. This is a slalom course that you can run on a mount or on foot. There is a trade off because when you're on foot, it's not too slippery but it is slower. Or you can run this on a mount which is a lot faster but it is also a lot more slippery. Remember to take advantage of the Winter Festival event. Be ready to have fun with this event. By the way, Neverwinter officially holds an activity that during the 9th till 12th, December, whenever you spend 10, 000 Zen, a free month of VIP is earned. You can check on Neverwinter's official twitter. Not having enough Astral Diamonds to exchange Zen? Then go to our website to get.